The PlayCare & Pre-School program at Gymboree is designed to prepare and ease children into the school life that awaits them. Our curriculum combines aspects of the various class programs already offered at Gymboree with a dedicated School Skills curriculum. Discovering colors, numbers, letters, and the wonders of science are but some of the exciting topics that will be taught in our bright learning environment. 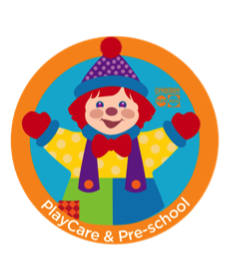 The PlayCare & Pre-school program will start on Thursday and Friday at 9:00. Children can be dropped off as of 8:30 AM. 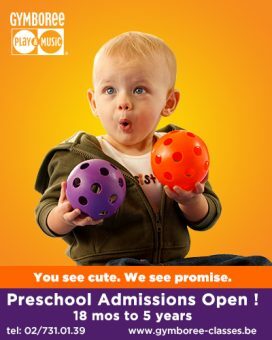 PlayCare is for children between 18 and 30 months of age, who are still in diaper. This segment of the program runs for 90 minutes on Thursday and Friday mornings. In this time the children will engage actively in teacher-led playtime, art, and music activities. Storytime and Snack-time provide quiet moments in which energy levels can reboot. PlayCare students are then picked up again at 10:30 AM. Group size for PlayCare is limited to 7 children. Pre-School is for children between 2,5 and 5 years of age. This segment of the program runs for 3 hours on Thursday and Friday mornings. In addition to actively engaging in teacher-led playtime, art and music, this age group will also spend structured time every day in independent and group learning activities that encourage curiosity, build self-confidence and develop the important personal and social skills your child will need for a successful transition into school. Storytime and Snack-time provide quiet moments in which energy levels can reboot. Pre-school students are then picked up at 12:00 Noon. Group Size for Pre-School is limited to 20 children. Full-time enrollment (2 mornings a week) and part-time enrollment is possible for both age groups.